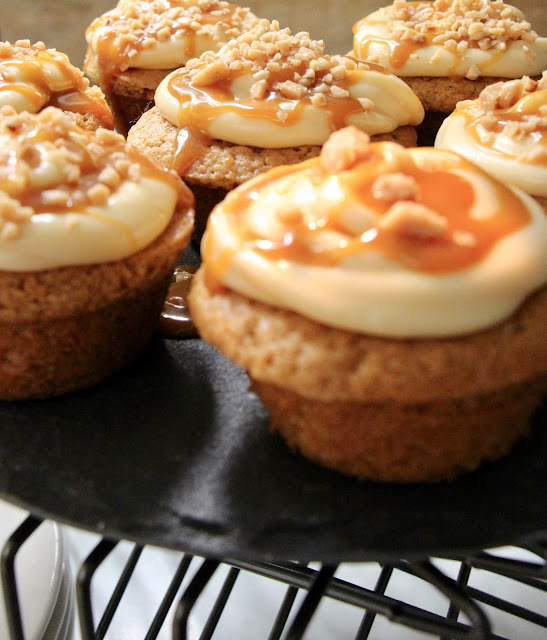 If you love pumpkin, you are going to love the plethora of pumpkin recipes coming your way. 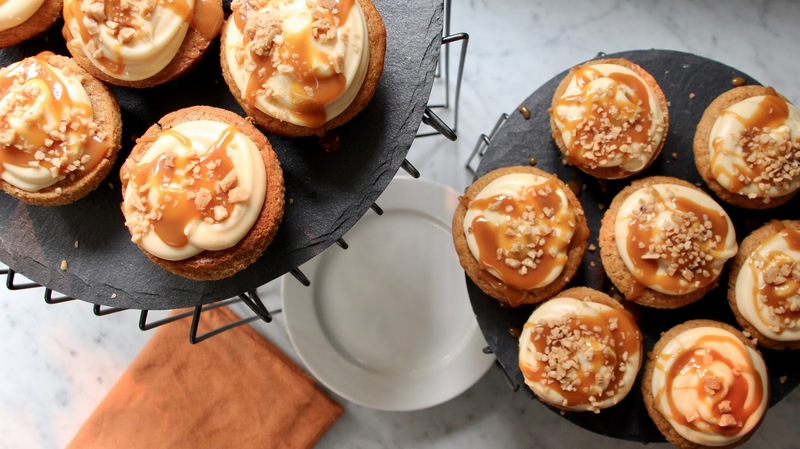 I thought a sinfully delicious toffee pumpkin cupcake with salted caramel frosting recipe would be just perfect to share with you. 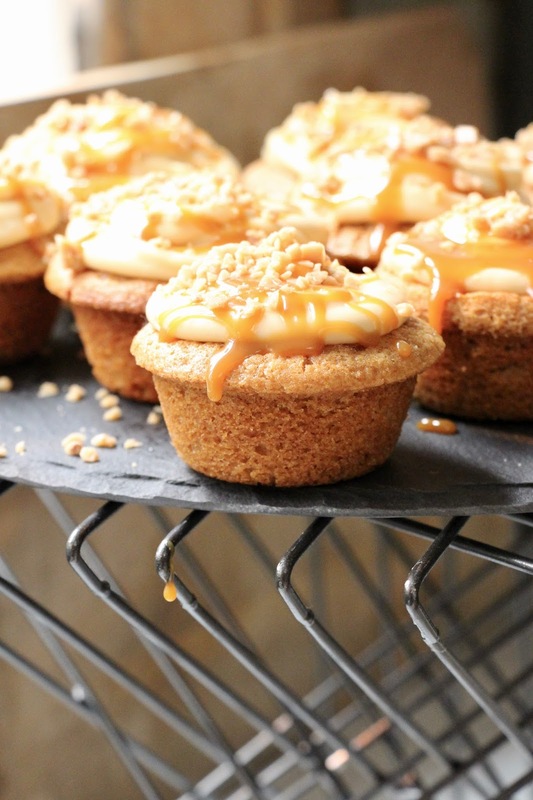 These are rich and decadent. 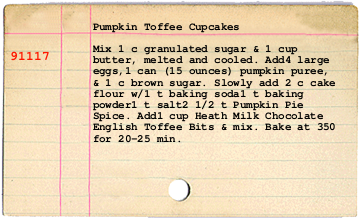 Add toffee bits to the finished cupcake for an extra special touch. These are ooey and gooey and oh so good. 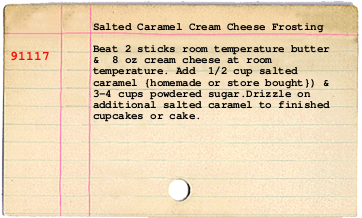 If you have a party you need to bring a dessert to this fall, this is it! And as promised~the winner of the Pinspiration Market early bird tickets is, Kayla Avenell! Thank you for all who entered, I hope to see you there. All of my favorite things in one cupcake. Perfection. They look delicious. I love pumpkin recipes.They are the delicious one!I love to share this recipe in my network so that more and more people get to know about these recipes.Hope I will make this recipe in my Air Fryer .